Hathaway Sprague Law, P.A., is a law firm with offices in Tallahassee, Florida. 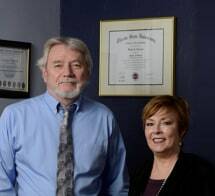 Our attorneys, Kathryn Hathaway and Wayne Sprague, have nearly 60 years of combined experience helping people across the Panhandle with straightforward and complex legal matters. We understand that meeting with a lawyer can be an intimidating experience. Whether our new clients need general legal advice or find themselves facing an uphill legal battle, the last thing they should have to worry about is feeling comfortable with their attorney. At our firm, we offer the experienced, dedicated guidance that those with legal matters need and deserve, but in a personal and comforting environment. We know that we can best help our clients when they can be completely open and straightforward with us about their situations. In order to do that, they need to feel comfortable speaking with us about every aspect of their cases. Because we take the fear and intimidation out of the legal process, our clients are better able to give us the information we need to prepare the strongest possible cases for them. Even if you think your legal needs are simple, you can still benefit from our attorneys' legal knowledge and passion for helping clients. To arrange a consultation with Hathaway Sprague Law, P.A., call our Tallahassee office at 850-391-2884 (toll free 888-858-5404).